As young as 6 and older than 60, beginner to advanced. Convenient class times which accomodate our lives. Accredited martial arts instructors bring a wealth of experience to every class. Our organization is the International Shotokan Karate Federation (ISKF), headquartered in Philadelphia, Pennsylvania, USA. 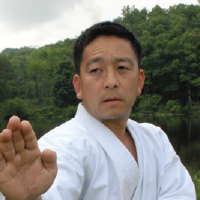 Master Okazaki, Chairman and Chief Instructor of the ISKF, was one of the first instructors sent to the United States in 1961 to spread the art of karate, followed by Master Yaguchi in 1963. The ISKF has clubs throughout the world including North and South America, the Caribbean, Europe, Southeast Asia, the Middle East, Africa, Australia, and New Zealand. Our style, Shotokan, is non-contact with basic components consisting of blocking, punching, kicking, striking, and stances. Classes are offered for anyone over six years of age. Instruction is available for beginner, intermediate, and advanced levels. Visitors and spectators are welcome to watch classes, but are asked to respect the instructor and students by observing quietly.